Anyway, just wanted to get my VeganEgg review up. Bye for now. That's so cool that you could find the veganEgg! I wouldn't have expected that! From different videos I've watched on YouTube,you don't want to under or over cook it. I really hope you find Ben&Jerrys next too!! 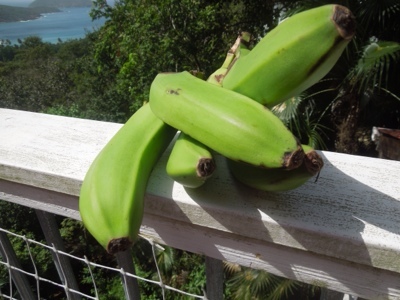 I'm so curious about the green bananas, I've never heard of that before. 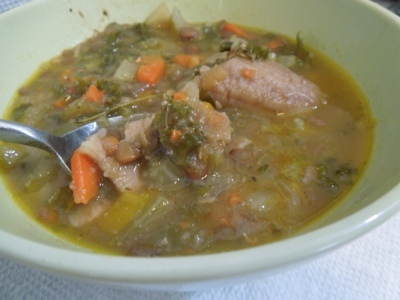 I like soup on hot days too! I forgot to say that I LOVE the old bugs! That used to be my dream car before I gave up driving! little cars are my favorite. I still want a SmartCar. maybe one day. That is so great that you found them!!! I'm sorry that you didn't like them upon first taste. I still haven't tasted mine yet. I've heard that the water has to be ice cold and that a sprinkle of black salt really helps. I'll probably try mine this weekend. I hope that the Ben & Jerry's comes to you too! That is definitely something you would enjoy! 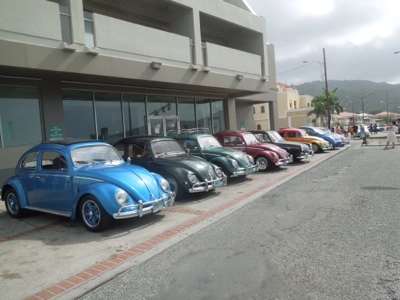 The VW lineup is too cute!! What a fun thing to see! 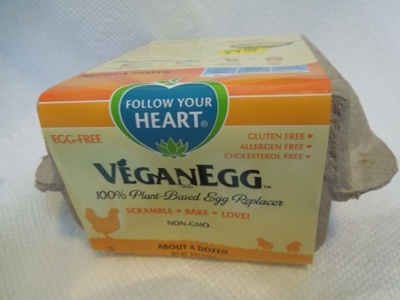 Now I am really curious to read what you think of the VeganEgg. I had no prior knowledge of it till your post. I think i should have done some research before cooking. I haven't tried the Vegan Egg, and probably won't. I'm weird in that I'll do Chik'n strips, veggie dogs, but vegan deli meat and vegan egg seem too unnatural. Ha ha! I don't know I'll do one, but not the other. Tofu scramble, for the win! I am the same way with vegan 'pork' and 'seafood' except for 'crabcakes' and 'shrimp'. Just doesnt seem right to eat some things even when they are vegan. The vegan Ben & Jerry's is probably in your area, Things seem to come from the west and work their way east. 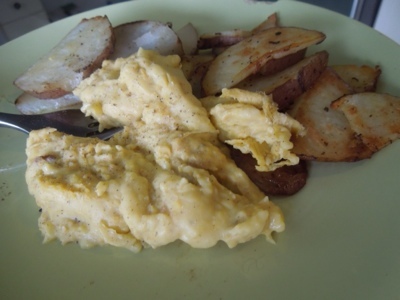 I've read a few reviews of that vegan egg and it seems to be better used in a recipe vs just as a side of scrambled "egg". Dunno, haven't (probably won't) tried it myself though. None of the stores near my have the vegan ben and jerry's! And from other neighborhoods it just wouldn't survive the trip home...sigh. I just got the VeganEgg, too. Was super excited from the reviews, but mine came out rubbery, too. I followed the directions precisely, including super cold water. The only thing I can thing is that I may have cooked it too long, too. I figured all the liquid needed to be gone, so it ended up being about 10 mins. Pure rubber! Going to leave them a little wet next time and only do 6 minutes like it says and cross fingers that they're good (because I bought SIX PACKS on sale)! Anywho, related to Ben & Jerry's, you MUST try Steve's Ice cream. Their Burnt sugar vanilla is better than any dairy ice cream I've ever tasted (and trust me, that's saying A LOT!). Sooooooo smooth and creamy like Ben & Jerry's. You'll love! They have several other non-dairy flavors too, but I didn't care for any of them. Dying to try that green banana thing! I feel a little intimidated, too, but will give it a whirl.